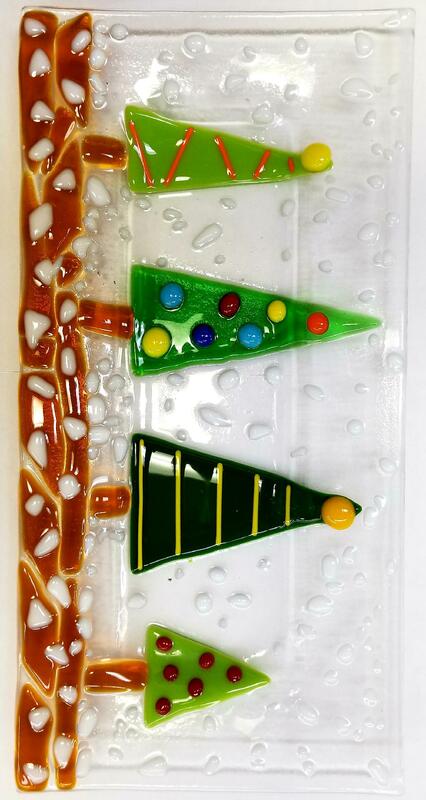 Get into the holiday spirit by making this adorable fused glass tree platter. You get to design your own trees! Instruction and all supplies included. Platter will be fused and then slumped. Your masterpiece will be ready in one week, just in time for holiday gatherings.